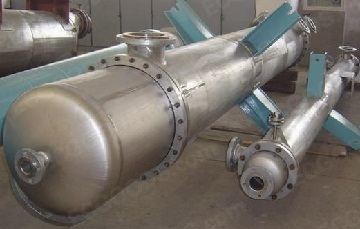 The grade 2 titanium tube bundle and tube sheet for a heater. The heater for acetic acid processing is fabricated for a Peruvian client from Lima. The tube bundle of the heater is made of ASME SB-338 grade 2 titanium tubes (seamless) sized Φ19 mm x 2 mm(w.t) x 2638 mm(length). The tube sheet is made of grade 2 titanium clad stainless steel 304 plate. 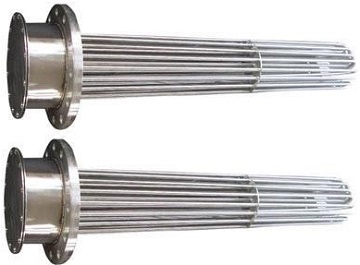 For tube side, design pressure: 0.18 MPa, working pressure: 0.09 MPa, design temperature: 178°C, working temperatures (inlet/outlet): 55°C/150°C, medium: acetic acid + inert gas, quantity of tube passes: 1. See the corrosion resistance of grade 2 titanium to acetic acid.